Spider-Man gets the Minimates treatment. 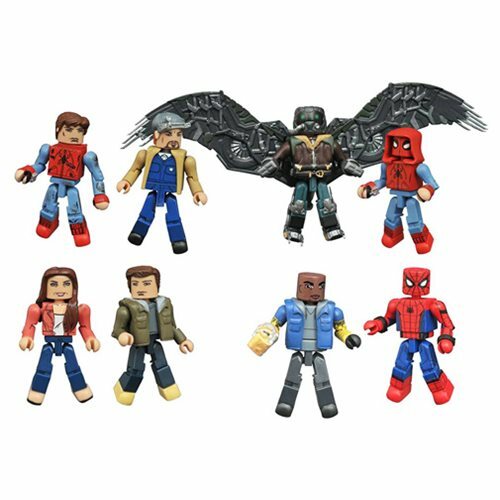 This Spider-Man Homecoming Minimates Series 73 2-Pack Case features four different two-packs with your favorite characters like Spider-Man and Shocker. Each Minimates mini-figure features 14 points of articulation and fully interchangeable parts. Each 2-pack comes packaged in a full-color window box. Ages 8 and up.